Calling all teachers, health professionals, and medical experts! We caught up with some of our favorite leading Registered Dietitian Nutritionists in childhood and school nutrition to have them share advice, insights, and tips just for you! Rachel Blaine, DSc, MPH, RDN is a professor of nutrition at Cal State Long Beach. Rachel focuses on child feeding and provides nutrition educational certificates focusing on early moms and infant nutrition. Q: We know that teachers already have a lot on their plates. With this in mind, tell us why offering healthy foods and snacks in schools and day care’s will benefit students and teachers alike. Cooper: When preschool teachers serve healthy foods and role model healthy eating, they encourage kids to eat healthfully, too! Young children, in particular, re always taking cues from and wanting to please the adults in their lives. The average American child now spends more mealtime hours at preschool than at home and may even eat most of her calories there. Because of this, it’s crucial that teachers discuss the foods presented at mealtimes, encourage kids to try new foods, and stress the importance of food for growth, learning, and play. Teachers also stand to personally gain from these practices! They will feel more motivated to eat healthfully themselves, thereby improving their diet and their health. They will also enjoy the benefits of teaching well-nourished students – the students will have higher energy, better behavior, and greater readiness to learn! Hayes: Healthy food choices promote strong bodies, smart brains, and super behavior. When children eat well, they are better able to grow, learn and play well – everyone benefits, including their families and their teachers. When kids are well nourished and ready to learn, it makes any educational activity more fun and more effective. Castle: If teachers want to keep their students engaged, interested, and able to pick up on new concepts quickly, they will want to make sure they emphasize good nutrition, both at home and at school. Encourage children to eat a healthy breakfast at home (before school starts), support healthy lunch and snack options at school, and encourage parents to send in healthy lunches, snacks, and celebratory treats. When teachers do this, they will get better behavior out of their students (hungry kids are grumpy and unfocused) as well as better learners! Halas-Liang: Encouraging kids to eat healthfully can help you. By making healthier choices yourself, you’ll not only feel and live better and prevent disease but you’ll also be a great model for the students you love. Your lifestyle – what you eat and how active you are – can influence how your genes express themselves. You want to express a healthy body inside and out! And when your students follow your example, they will become better nourished. Kids learn better when they’re nourished! They’re more focused and feel better with good nutrition. Q: It’s easy for daycare educators to get overwhelmed when the kids don’t eat or are picky. What words of advice can you offer to help motivate educators to continue offering healthy foods to their students? Cooper: Daycare leaders need to take comfort in the same message that nutritionists give to parents: Don’t worry, if they are hungry, kids will eat! Unlike the majority of adults, whose internal senses of hunger and fullness do not work as well as they once did, most children are excellent judges of whether they are hungry or full. We, adults, need to help steer them to healthful foods while they are hungry – whole grains, lean proteins, low-fat dairy, fruits, and vegetables. When they have eaten reasonable portions of the foods served, they can then have seconds. The smartest thing to do is offer more of the fruit and vegetable as seconds. If a child is hungry, he will dig into almost any food! In other words, encourage the child who normally eats three servings of pasta to finish the first serving and then to try the fruit, vegetable, or protein. Castle: It can be relieving to know that feeding young children is pretty straightforward! Daycare providers should only worry about three things when it comes to feeding their kids: 1) providing balanced, healthy meals and snacks 2) setting a regular time for meals and snacks and 3) keeping the location of eating in a usual spot. After these things are accomplished, the child can decide to eat (or not) and can eat the amount that is right for his or her appetite/body. When providers prompt young children to eat more or make different food choices (i.e. healthier ones), a young child may overeat or eat poorly (i.e. not enough or not at all!). Research tells us it is best to let children decide which foods they will eat based on what the provider offers and to let them decide how much they will eat. Blaine: Kids who are picky eaters need snack and mealtimes to be upbeat and pressure-free. Studies show that little ones who are pushed to eat foods, especially fruits and veggies, are less likely to enjoy them when they get older. 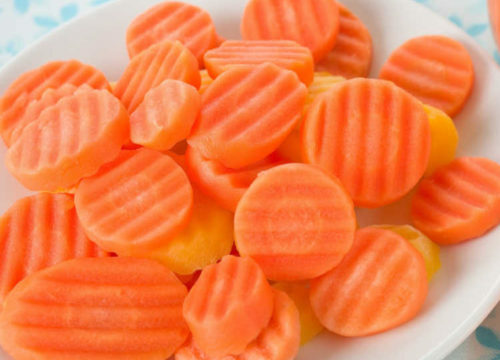 Instead of negotiating over an extra bite or urging a child to clean her plate, I recommend educators eat with children at meal and snacks, offer healthy options, and have positive conversations about foods with the children, focusing on flavors and textures (such as, “Mmm, these carrots are crunchy! What animals eat carrots?”). When kids fuss or complain about foods, the best response is neutral and upbeat (“Alright, Ben doesn’t feel like having pasta right now. That’s ok.”). Unless there are serious concerns about a child’s growth, it is perfectly fine for them to nibble or not partake in a food or few foods, so long as they have a few options. Some children may surprise you by eating very little at one time and then gobbling up a disliked vegetable later in the day. Halas-Liang: I know it’s hard when you’re dealing with kids who don’t want to eat or who are picky eaters. But where there’s a will, there’s a way! What I’ve found to be helpful is to give kids the power of choice. Simply offering your student two choices with their snack or lunch may increase consumption. Give them the option between equally healthy foods, such as “Would you like red peppers or carrots?” or “Do you want apple slices or orange slices”? You can also use peer influences in a positive way: if an older child is eating a healthier food, younger children are more likely to try it. Also make hunger your friend, serve fruit and veggies first when kids have an appetite! 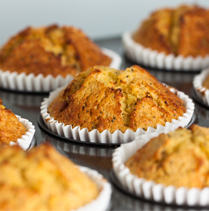 Try to be warm and nurturing, setting limits and expectations (such as encouraging them to take a bite of something) without being overbearing. Imposing stringent controls on children can increase preferences for high-fat, energy-dense foods, perhaps causing their normal internal cues of hunger and satiety to become unbalanced. Set your daycare up for success – stock and serve healthy foods to avoid food fights. And remember: if children are given the opportunity to try new foods multiple times without being forced to eat them, they are more likely to incorporate that food into their diet. When you’re dealing with picky eater, you can use a reward for good choices. By giving children non-food incentives or verbal praise, you can increase the likelihood of kids trying and liking new foods. Great ideas for rewards include stickers, small toys, hugs, or verbal praise. Try a sticker chart for your students to keep track of new fruits and veggies they try. Just remember: don’t use unhealthy food choices as a reward for good behavior. This treats junk food like gold, and kids give it a higher value. And when you’re dealing with extra picky eaters, don’t be disheartened. Keep in mind you: you might just be working with a broccoli lover who just hasn’t blossomed yet! Q: Why is it important for schools, organizations, and even facilities to provide healthy food and nutrition curriculum in early childhood? If you could convince principals, classroom educators, or private school franchises to include nutrition education, how would you persuade them? Evers: I’m convinced that principals and administrators understand the link between nutrition and learning because they always remind students to eat breakfast during test week. Of course, we know that proper nutrition contributes to classroom performance all the days of the year, not just during test week! When promoting nutrition curricula and programs in schools, I always look for ways to work within the school culture and learning environment. Finding an action-minded health “champion” in the school is also helpful when working towards a healthier school environment, which includes nutrition education in the classroom. The champion can be a teacher, school nutrition staff, nurse, principal, or even a motivated parent or community volunteer. 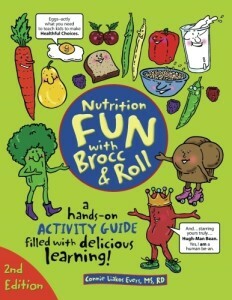 My books have always carried the theme of integrating nutrition into all core subject areas. 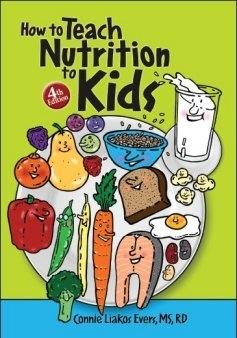 How to Teach Nutrition to Kids weaves nutrition education with math, science, language arts, social studies, performing arts, physical education, health education and the school cafeteria. Nutrition Fun with Brocc & Roll contains 42 copy-ready activity sheets, puzzles, and recipes. Children, ages 6-12, learn to assess food and activity habits, set goals for good health, decode advertising and food labels, and develop basic cooking and gardening skills. Blaine: Many kids are tasting and experiencing new foods for the first time in child care and school settings. If they’ve never tried stir-fry at home, or haven’t eaten wheat bread before, this is an important opportunity to have positive experiences with new foods. For some low-income children, foods served in school and childcare settings might be their only exposure to healthy options. 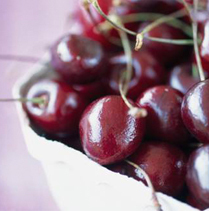 This makes it so important to pack vitamins and minerals into every snack and meal! When schools promote being an adventurous eater by offering taste tests, age-appropriate cooking/snack prep demos, or food crafts/competitions, kids happily respond. It’s also encouraging to know that these same children often bring new information home too – asking mom or dad to buy a sweet potato or to try a frozen banana as a dessert. I would always encourage you to send home information to families about any nutrition activities that you’re doing in class with their children. Halas-Liang: The answer is simple: A healthy diet can help children stay lean throughout life and can help prevent heart disease, type 2 diabetes, cancer and other chronic diseases. By helping their students, they’re helping themselves. Prevention has to start in youth! 1 in 3 cases of many common cancers are preventable through healthy diet and lifestyle – and that’s not accounting for smoking! Check out these free activities, recipes and lesson plans that focus on healthy eating and ultimately help prevent cancer. Adult overweight and obesity are responsible for over 112,000 cases of cancer in the US each year. We know that kids who are overweight often grow up to be overweight adults, so let’s start early to prevent illness later on. Q: What are a few of your favorite fun activities that inspire kids to eat healthily and learn about nutrition that early educators can teach to the class? Hayes: The best ways to get children of any age engaged in healthy eating and nutrition are gardening and cooking. In other words, if they grow it and/or cook it, they will eat it. Gardening and cooking activities are best when they are simple, short, and designed for children’s skill level. Even very young children can plant a seed in a cup of dirt or mix cut-up fruit to make a colorful salad. Older kids can learn to water and weed carefully and to measure ingredients for a simple recipe. The wonderful thing about these activities is that they are also great ways to teach colors, numbers and even “eating the alphabet.” Nutrition can be integrated into every early education activity! For young children, it’s fun to make hummus from scratch using a potato masher instead of a food processor. Children love to take turns smashing the beans, squeezing the lemon, and dumping and stirring the ingredients. Below are some examples of additional experiential activities that I have successfully used with children over the years (and are included in my books). Grow something edible. From seed to table, growing vegetables, herbs or fruit inspires kids of all ages. If you don’t have the resources for an outside garden, start with a container filled with organic planting mix and plant easy-to-grow edibles such as basil, radishes, or lettuce. Take kids on field trips or visits to grocery stores, ethnic markets, farmer’s markets, farm direct stores, community gardens, farms, mills, dairies, orchards and any other local food resource that teaches children about the “roots” of their food. Create a commercial for a healthy food. Studies show that kids are bombarded with ads for unhealthy foods and rarely see commercials that promote health or fitness. Challenge them to design, perform in, and film a fun and persuasive ad that promotes nutritious foods or positive health behaviors. I teach kids about food groups by playing active games. For example, with the MyPlate food guide, you can designate the circle in the center of the gym as the “MyPlate.” Before the kids arrive, hide paper food pictures or food models all over the gym. When you blow your whistle, the kids have to scramble, find the food models and then place them in the proper space in the circle. I also play “food group relays” with kids, a fun way to combine food and fitness education. Cooper: Bear in mind that food is more than sustenance. Food is art; food has a story, a place of origin; food involves measuring and counting. Food is culture; food is science! Therefore, let kids explore food in ways besides just eating. Slice up a variety of different types of apples and have kids try each kind and vote on which apples are the first favorite, second favorite, etc. Draw a graph to show each apple’s popularity. Use pasta, dried beans, dried herbs and dried flowers in art projects. Cook with kids—measure, cut, divide, and serve different dishes. Have kids portion food so that there is enough for everyone. Teach place setting, manners, etc. Grow food, such as carrots, in the classroom using clear plastic containers so that they can see the root development and growth. Have food tastings and write about the different senses. Feel different foods and learn about textures. Observe different foods and learn about colors and sizes. Take a globe and mark where different foods come from—instant geography lesson. Have children talk about their favorite foods or foods from their cultures. The list is endless! Halas-Liang: Kids love the Super Crew! 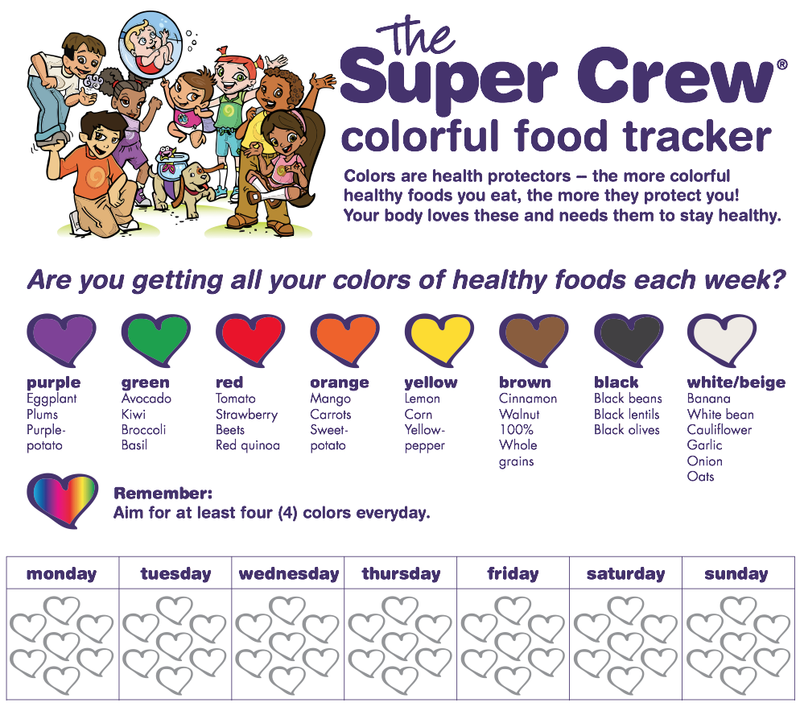 Definitely, utilize our Super Crew activities – they show kids that healthy foods will help them jump higher, run faster, give them night vision, and help their hair grow healthy! And check out the Food Leap App – it’s a great way to get kids interested in whole foods through gaming! 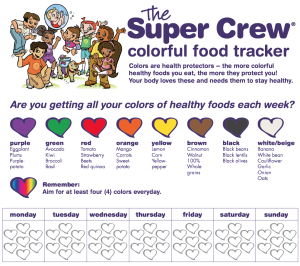 You can also get your students to use the Super Crew Colorful Food Tracker to track how many colors they are eating each day. It’s fun and it really works! It’s been utilized at WIC, Head Start Locations, Cal Fresh, preschools and elementary schools. I’m also a fan of reading children’s books about healthy eating, gardening, and other health themes. I love I will not ever NEVER eat a tomato or The Bernstein Bears Too Much TV. And get kids involved in the kitchen! Young kids can help clean the produce. Let them scrub fruits and vegetables with a cute veggie scrubber or have them be the “timekeeper” when baking. Let the kids help with meal assembly by pouring sauces over pasta or mixing salad ingredients. One of my favorite classroom activities is demonstrating how blood flows through healthy arteries. You just need two clear, 12-inch PVC plastic tube, yellow Play-Doh, a pencil, two 16-oz. jars, two cups, water, red food dye, and cornstarch. Using the pencil, you clog one of the tubes with the yellow Play-Doh to represent fatty plaque and you keep the other tube clear. Kids LOVE pouring the fake blood through the arteries. You can discuss how your heart pumps blood and nutrients to all your organs and how to keep it healthy with the right foods and activity. This activity can be easily adjusted for young and older age groups. It’s my favorite! Finally, whenever you can have a parent nutrition education component, get the parent involved -even if it’s once a year at PTA. And, finally, I cannot emphasize enough how much of an impact building and tending to a school garden can have on kids! They LOVE to eat whatever they grow, so if that’s a possibility, definitely do it! If you can’t do that, then try a farm-to-school program. 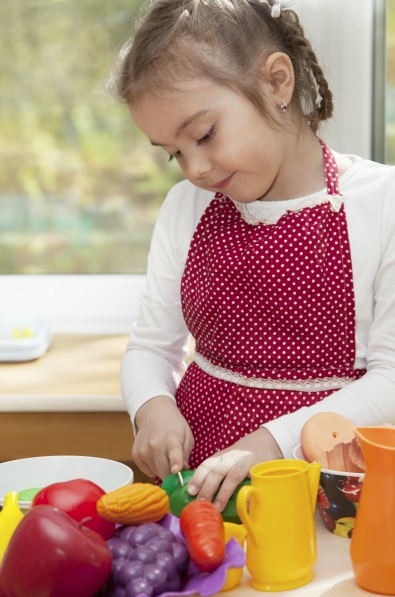 Preschools should help teachers, chefs, and kitchen staff to make food servings appropriate for preschool-age children (refer to the Child and Adult Care Food Program, CACFP, for government-recommended serving sizes for this age group). Try to make foods interesting and colorful. Try to be positive and verbal about trying a wide variety of foods. Blaine: Don’t forget about the Child and Adult Care Food Program (CACFP). CACFP truly benefits everybody involved. Qualified centers can get reimbursed for meals and snacks they are already serving to children. This keeps the price of care lower for families and ensures that kids eat well since reimbursed foods must meet certain very reasonable nutrition requirements. I know that some child care directors might be hesitant to enroll because they’ve heard about possible paperwork and record keeping, but they might also be surprised at how much reimbursement they actually qualify for. My own research with child care centers showed that CACFP center staff members offered more fruits and veggies to infants and toddlers than centers not enrolled in the program. 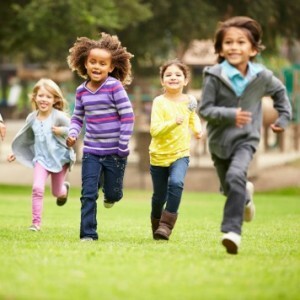 Healthier kids and cost savings are a pretty great combination! Check out these helpful solutions on How to Problem Solve Food Fights.